SBP Govern­or talks about expans­ion of the indust­ry spurre­d by techno­logy. SBP Governor talks about expansion of the industry spurred by technology. The disparity between the banked and unbanked segments of the country as well as recent growth in branchless banking sector remained the highlights of the International Mobile Commerce Conference held on Thursday. Only 22% of the country’s population owns bank accounts, while more than 60% Pakistanis have access to mobile phones, according to experts who believe that the unbanked or under-banked segments of Pakistan offer huge opportunity to expand mobile and branchless banking. Pakistan’s mobile phone subscription reached 112 million – around 62% of the total population, Governor, State Bank of Pakistan Yaseen Anwar said while addressing a packed conference attended by executives from leading national and international banks, telcos and mobile commerce software providers. In contrast, the governor said, only 25 million people – mostly from the high income segment – own banking accounts. “Where conventional banking has its limitations, electronic payments and mobile banking products should fill the gap,” he said. The governor also shared various data in support of the growth in branchless banking sector. 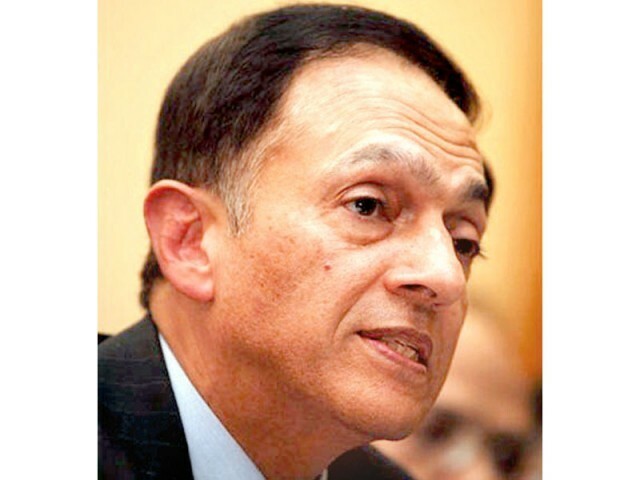 “Consultative Group to Assist the Poor (CGAP), in its recent study, has recognised Pakistan as one of the fastest developing markets for branchless banking,” Anwar said. Sharing statistics of SBP, Anwar said value of branchless banking transactions reached Rs79,410 million during the last quarter. Total number of branchless banking accounts have increased to 929,184, he said, while branchless banking deposits have grown to Rs503 million. SBP introduced branchless banking regulations in 2008. He further said around 80 million branchless banking transactions of Rs300 billion have been executed in Pakistan. “I am expecting a surge in the number of access points to over 50,000 very soon,” he said. Total volume (number) of transactions has jumped to 20.6 million during the October to December 2011, Anwar said. The average number daily transactions has increased to 228,855, he added. The average size of branchless banking transactions, Anwar said, is Rs3,855 which shows that mobile phone technology and agent-based banking are providing financial services to unbanked poor. While talking about the benefits of branchless banking, he said, rural customers will no longer be required to travel long distances. He further said a large proportion of population – which is unbanked – has been heavily reliant on cash-based transactions, thus causing a negative impact on documentation of the economy, the tax-base, efficiency of economic transactions, etc. Representatives of the world’s leading software providers gave detailed presentations and discussed case studies on how mobile banking has succeeded in other emerging as well as developed markets. Mobile banking is the only way forward, said Mathew Talbot, Senior Vice President, Mobile Commerce Sybase 365 – which was recently acquired by SAP. Pakistan is one of the fastest developing markets for branchless banking in the world, he said, which is why Sybase is here. Sybase provides technologies to banks, which enable the latter to have full control of their bank accounts and make transactions through mobile device regardless of their location. It creates opportunities for bringing the unbanked and under-banked segments of the society into the financial network. Published in The Express Tribune, March 16th, 2012. Number of such accounts rise 40% in Oct-Dec 2011. Mobilink holds top position, followed by Telenor. Zong remains in last position. The only media groups left are those who diversified, integrated with internet, and had dedication to journalism. The branchless banking service has been recognised for its effective cash disbursements. Mobile banking is in its infancy in Pakistan. Countries like Kenya are way ahead of us. Mobile banking will have really taken off when I can pay for goods at my local general store using my mobile phone. That day is a long way off. What mobile banking? I didn’t see any mobile banking in Pakistan. The title does not match the content. The article spoke about the big opportunity for mobile banking n Pakistan due to the fact that is is so highly underbanked. It did not provide any evidence that it WAS going very rapidly at this time (as the title led us to believe). I cannot pay with my mobile phone in London. Nor I can do balance transfer (like they do in Pakistan). Not sure if mobile banking is a criterion of success!!! A 2011 report by World Bank’s Consultative Group to Assist the Poor (CGAP) describes Pakistan’s mobile banking as “a unique laboratory for innovation”. In a country where only 22% of the population owns bank accounts and more than 62% owns mobile phones, it is understandable that mobile banking is proving to be the fastest way to promote financial inclusion considered by experts to be essential to lift people out of poverty.